I had the pleasure of interviewing Vance Soto. 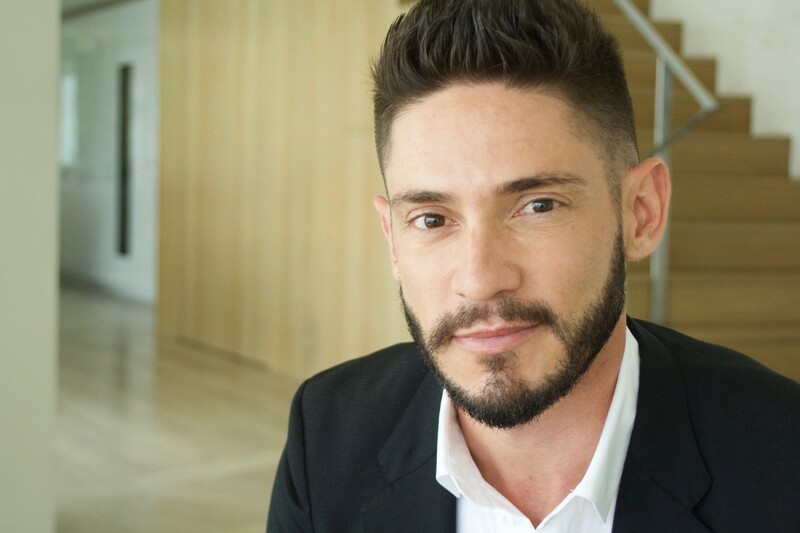 Soto has taken the spa industry by storm, going from homeless and jobless to running five successful luxury spas and salons in his career. As an ambitious beauty lover, he worked his way from professional sweat wiper to CEO at just 18 years old. After excelling in a high-energy salon setting, José Eber — the most recognized hairstylist in the world — steered Vance towards his true calling, spa’s. But as the economy took a dive, Vance went down with it. His humble beginnings followed him as the current President of the OleHenriksen Face/Body Spa as he does everything from wiping the floors to strategic planning. The innovative new treatments the spa is known for are all thanks to creative genius Vance Soto, including the A-list favorite Red Carpet Facial, Hydra Facial loved by Katy Perry, and Madonna’s favorite Oxygen Facial. Vance caters to his demanding A-list clientele by continuing to reinvent the spa while complimenting the DNA that was already there. Absolutely! My journey is a long and something out of reality television but hopefully inspiring too. I was 17, coming out of the closet, struggling in school and trying to find my passion in life. We all know at 17 you’re the world’s foremost expert on all topics so there wasn’t much anyone could teach me anymore. I was bored in school and just wanted to work. I would constantly ditch class many times to go to work since my family didn’t have a ton. I technically quit high school three times! Thankfully my principal took a liking to me. She sat me down to understand what I was going through while trying to inspire me to finish. I lied about my age to get a job wiping up people’s sweat in the afternoons at a tanning salon making peanuts but I loved it. It birthed my passion for beauty. I was always thin, had skin problems, and was trying to accept my sexual identity which all equated to self esteem issues. I was constantly bullied in school for potentially being gay and then for actually being gay when I did come out. But I came out swinging. I was done being silenced and made fun of. It resulted in a few bloody noses but I earned my keep and respect. During all of that my father wouldn’t speak to me any longer for being gay (he has since evolved and completely changed his thoughts and apologized profusely) but it was hard not having him during that phase. Living in Phoenix, Arizona was also a major challenge since it was not very accepting to LGBTQ people. My mother was moving to Kansas so my options were to move out at 17, get an apartment, and figure out my life. So I did just that. Worked three jobs and went to school. Finally quit high school for the last time. Took my last 60 bucks and hit the freeway west to LA. My best friend Brian (whom I hadn’t known that long) offered to help me and let me stay on his couch. Seemed like a golden ticket at the time. I started asking around for job leads before I even got to LA for fear that my last 60 bucks would only get me there. A friend lead me to Jose Eber Salon in Beverly Hills. I was told “ask for this guy and you’ll be hired on the spot. You look like you would be working there.” So I printed my resume, went down to Rodeo Dr. walked in and asked for the manager. I walked out with the job. They put me in the phone room simply answering phones because that’s what they needed. I didn’t care. I needed to work. I wasn’t above any title so I was beyond grateful just to have a job. Eventually I clawed my way up the food chain becoming the Salon Manager. It was a great three years! Boot Camp one might say. Sink or swim style. What I learned there was invaluable. I had some amazing mentors. I always had a can-do attitude and constantly presented ideas which is what got me noticed for management very quickly. For context… here I am at 19 years old still couch surfing, trying to build a life in LA, not many friends besides my friend letting me sleep on his couch, and a minimum wage job at a Beverly Hills hair salon and can’t pay my bills. How does one get out of this scenario? I knew I needed to earn more money. I knew I would need to grow into management (plus it suited my personality) so I asked how to get there. I expressed the passion to grow with this company. And it happened. In 2005 the tanning salon I worked at in high school and loved became for sale. I did everything in my power to get it. My father and I had reconciled so he offered to help me. It seemed like overnight I had left Jose Eber to explore my entrepreneur side. I was so excited! I was in my early 20’s ready to build my own brand. I was always a great salesman which was perfect for a tanning salon owner. I thought this was the universe telling me to jump! So I packed up and went back to Phoenix. At first everything was all systems go. Business was good, I bought a house at 22, family was good, etc. I was living high on the hog! But then the recession started to hit and it all came crashing down. I lost my business and my house. I felt like a complete failure. I cried myself to sleep daily. I was constantly upset and kept asking myself what could I have done better. I was so angry at myself for dragging the people closest to me into my problems. People did try to help but looking back the best help would have been for them not to help me. Then magically (literally) my phone rings. It was a Headhunter that interviewed me during my Jose Eber days. She said “I have the perfect role for you. Are you looking?” Having just lost my entire livilihood I was very intrigued about the opportunity. This Headhunter (Lori Hutchinson) who has since passed — was my angel. Had she not called me for the role I am unsure where I would be today. It goes to show that we should always be kind to those in our path because life comes full circle. Lori was a rock star at what she did. She was a beautiful person and very well connected. She wanted me to interview for the Spa Manager Position opening the new and largest day spa in Los Angeles for Equinox in Century City. I knew I wanted the role and wanted to be back in Los Angeles so I drove out to LA and told myself “this role is mine!” A few weeks went by and the role was offered to me. I accepted right away. I was ready for the challenge. I gave that place my soul. I remember prior to opening and during our training sessions that were basically 12 hours a day I had to take the laundry home every night and bring it back first thing in the am to ensure we would have clean linens for our trainings. It was hard. It was exhausting packing my car up at midnight for three weeks and doing laundry after a 12 hour day (since we didn’t have laundry yet in the spa). My work days were basically 15 hours a day. However, I still told myself I am so grateful. I am working, I am healthy, and I am learning so much. The challenge didn’t stop there. Equinox taught me so much. I absolutely loved my experience working with them. It’s almost like I was paid to go to college. I was also very proud working for a great brand that was highly respected. I felt like my time had come however to move on so I did a few side gigs before applying with OLEHENRIKSEN. This entire time after loosing my house to foreclosure I am still jumping between my own apartments to staying with friends etc. LA is an expensive place to live. Just because I was a manager didn’t mean I was living the financial dream. The struggle was real. Now I was also dealing with a foreclosure on my credit which means nobody wanted to rent to me. I literally felt like I couldn’t catch a break. I would go into work with my game face on, suit up/show up, rock it out and then go home to a personal life mess. Finally I told myself that I can’t live like this anymore. This doesn’t have to be my normal. I have made many mistakes and I own them. I do not blame anyone but myself for my failures. I alone can change this and never repeat it. So I set out with the intention of finding my long term role with a company I could make an impact on. I applied for the Spa Director role with OLEHENRIKSEN (on his birthday as a fun fact) and I got the role! I literally felt like over night I had gone to work at Candy Land. He was so fun and inspiring that I knew I made the right choice. I started in 2010 (the year I finally received my GED) and in 2011 it was announced the company was being sold. My heart sank. What did that mean for the spa? My team? Myself? Rumor was that the spa wasn’t going to be part of the transaction. I thought here is a beautiful day spa that has been around since 1975 catering to the biggest stars in the world. I need to get some advice on what to do and create an opportunity versus be handed a pink slip and showed the door. I took a friend to lunch and he stopped the lunch and said: “go offer to buy it. Stop everything were doing and go offer to buy it.” And naturally I am thinking of all the challenges that come with that scenario but I left lunch and went and offered. At the very least place the idea into the universe. The universe agreed and Ole and I struck a deal! I was shocked. One friend at lunch dramatically changed my entire life. Had I never offered to purchase the company I wouldn’t be having this discussion with you guys today. After a decade of struggles, couch surfing, foreclosures, losing my first business, family issues, self-esteem issues, etc my life was finally coming together. I always knew my time was coming and I never gave up hope. I knew it was all part of the universe’s plan for me. May 1st of 2012 I took over as the owner of OLEHENRIKSEN FACE/BODY SPA. The struggle was far from over though. I had basically no money left to my name. It was another sink or swim situation. But by this time I was a pretty good swimmer. I was doing the breaststroke, the doggy paddle, the butterfly stroke… you name it! It was scary but also the most exciting time of my life. I now owned an amazing piece of history. I developed thick skin. I surrounded myself with people that were successful and I wanted to be like. I asked a lot of questions of how they got there, what their greatest accomplishments were, and what advice they had. Everyone loves a rags-to-riches story and wants to help the underdog. I knew I would have to create my own success but was all ears on how they created theirs. It was so impactful hearing their personal journey. It was a reminder that I was not alone and I could also build the empire. And the occasional glass of wine really helped! By not giving up I was put into a position where I was confident enough to act on opportunity. I believe that Grit really helped me to be ready for the opportunity of a lifetime. When the universe presents opportunity, you must grab the ball and run. Run hard. Run fast. Grit also made me street smart. Which is very underrated. You’d be very surprised how far one can get in life being street smart. Resourcefulness is one my great qualities that I am very proud of. I never gave up. I was relentless in career path regardless of the obstacle in front of me. Tenacity was also something I heavily maintained. Today things are fantastic! The life and business I have created are some of my greatest joys. To see a business I took over 7 years ago still alive, growing, and flourishing is something to be extremely proud of. I could not do it without my team of 30 employees though. It’s through complete teamwork that our business still remains an industry leader since 1975. I have many things on the horizon as well! Sadly, I can’t talk about them just yet but I definitely have ideas that will soon come alive. I love business so I don’t see myself slowing down any time soon. Yes! It also goes down as one of my most embarrassing moments in life. I was working at The Phoenician in Arizona, which is a five star hotel. I was in a hurry to close up the restaurant so in my mad dash to get out and go play, I accidentally busted a bottle of Opus One (eeeek!) on a glass table and all over white carpet. The piano player then stopped and the entire restaurant (which was 100% full) stared at me as Opus One and dollar signs just dripped into what felt like the abyss of white carpet. That also became my last day (shocker, I know). What I learned was take your time to do things right. The universe has a plan. Go with it and recognize it because you can’t speed it up, slow it down, or out smart it. We have soul. Literally! We have been around since 1975. Take a look at who was around then and now in the spa industry. We are tried and true yet continually evolve, change, and grow. We are constantly looking for ways to reinvent ourselves but stay true to our DNA. We believe everyone on the team (the human touch) plays a major part in our success and by creating truly sublime experiences for our guests. Our goal was never to have 100 spas around the country. It was always to maintain an intimate experience found in a few select locations. I also think being a celebrity favorite for so many decades is a huge accomplishment. We are very proud that we have stood the test of time. Take time for you. Whatever that is. I am constantly asked this question and my response is always the same. How can you be any good to others if you aren’t good to yourself? We must take care of us. I feel like some of my best ideas come when I am outside of my business in a new environment. For me, that’s when my brain really wonders. I love letting my thoughts and ideas wonder. It usually births something special. The simple answer is to just simply take YOU time. And put the phone down. I have three people I need to truly thank. My best friend Brian Gawronski who took a chance on me at 19 years old and took me under his wing. He acted like the big brother you actually want at that age. It was a mixture of tough love and support. Without his support I definitely wouldn’t be here today. He helped in so many ways! The second would be Ole Henriksen. He’s truly an inspiration for many. He helped provide me with any amazing shot at life that I will always be grateful for. He remains one of my dearest friends and some of my chosen family. He went from being my employer to allowing me to own the legendary business he built as a young entrepreneur. The third would be my dear friend Brian Pendleton. Without him telling me to go offer to buy the business I might not have. He inspired my tattoo that says “Fortune likes the bold. Find the opportunity. Pay It forward.” I think that sums up who he is as a person. I am definitely trying! I have vowed to continue to try. One thing that comes to mind is when unemployment was very high in California. It was something near and dear to me since I remembered going through those tough times. I also remembered what the interview process was like and how difficult it was. I partnered with Dress For Success and donated 100 Spa Services to women who had lost their jobs. It was an effort to make them look and feel their best. Not only to relax their minds during the interview process but also to help make them confident. The thank you letters were more than enough to make my year! And many did find positions which put a huge smile on my face. 1. Be resourceful — meaning that if you have to build a mansion out of a hammer and a nail, build a mansion out of a hammer and a nail. 2. Find the “yes” and “can” before the “no” and “can’t” meaning don’t put bullet holes through ideas just because it seems far fetched, crazy, or unrealistic. Train your brain to see opportunity! 3. Create the opportunity — an example would be that you’re an employee of a company and you see a need for a role that you would be amazing at. It fills a need but the company technically doesn’t have it. Create the role on paper and present it! As a leader I would always rather dial someone back than push them forward. You never know what your company will bite on. Creating opportunity is extremely fun and engages your brain in a whole new way! 4. Listen more than you speak. During tough times it’s all part of a bigger plan. The universe is constantly teaching us a lesson. Hear it, learn it and never forget it. 5. Hearing no isn’t always bad. It helps you develop thick skin. It also makes you think how you can make an idea better, present better, do better, or move on faster. The goal is to see everything as an opportunity. Digital Detox. I am not sure all the details but it would be more about how to put the phone down in our daily lives. Not a getaway in a remote location where your phone won’t work (even though that works) but how to do it daily in your normal routine. I truly believe that a digital detox is essential to your mind, body, and health. Seeing the beauty around you and occupying your brain differently. People’s attention span is now that of an Instagram post. Social media can also trigger so many emotions in people. Get out and see life! Not bury your face in your phone. Stressed out tweens? Send them to the Spa!